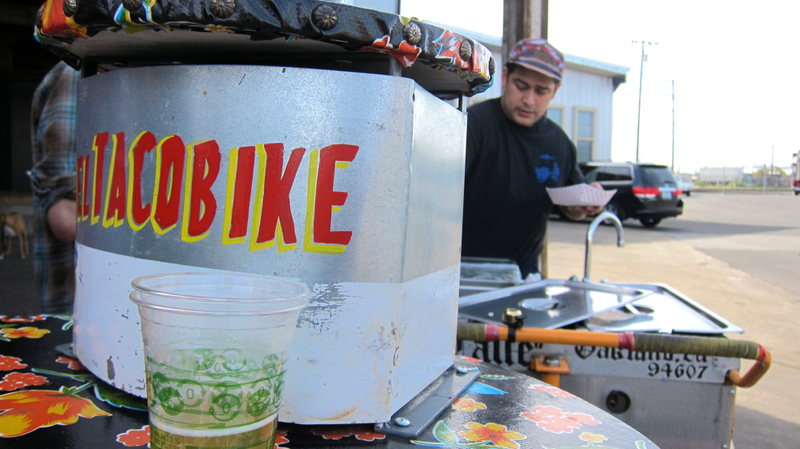 I'm a big fan of bicycles and beer. 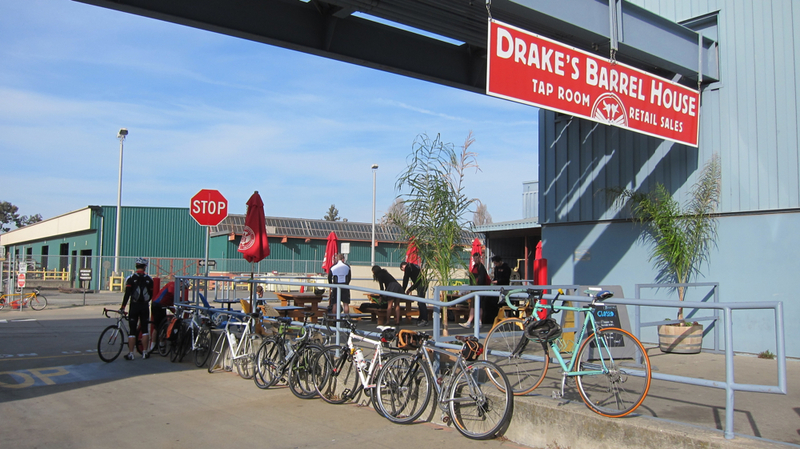 As luck would have it, there's a trio of cycling beer aficionados, The Grand Cru, that organizes monthly rides for like-minded adults in search of tasty local craft beers. 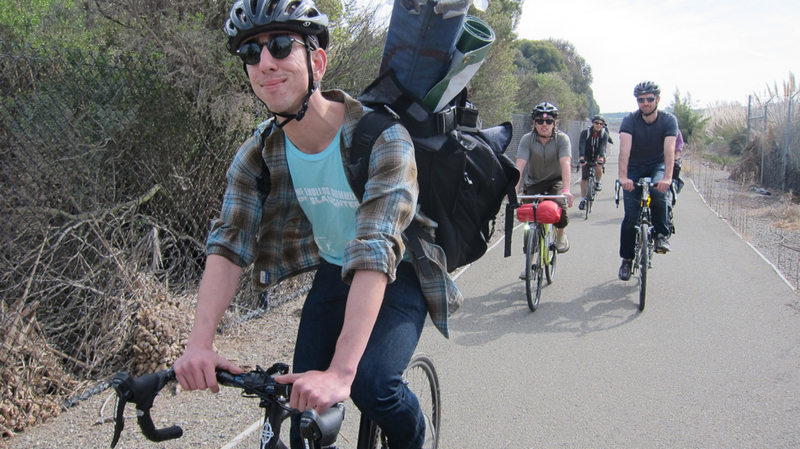 Israel Figueroa, Colin Elliott and Phillip Yip of The Grand Cru with Max Hunter of the East Bay Bicycle Coalition. 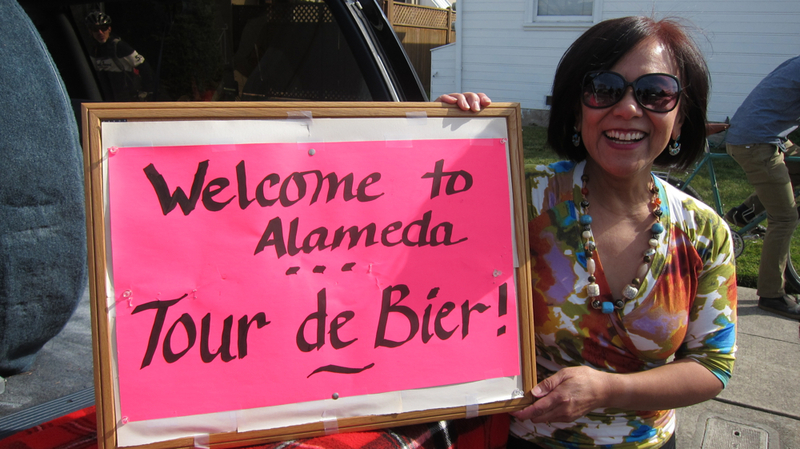 Yesterday they led the 3rd Annual Tour de Biere, a 20-mile route through the East Bay in honor of San Francisco Beer Week. 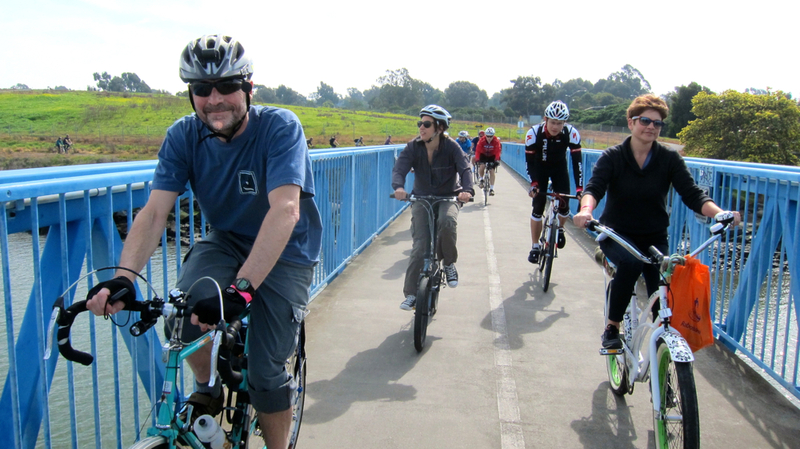 The $25 registration fee benefits the East Bay Bicycle Coalition, a local cycling advocacy group (and I'm serving as a board member for them this year, so I was along on the ride as an official representative.) 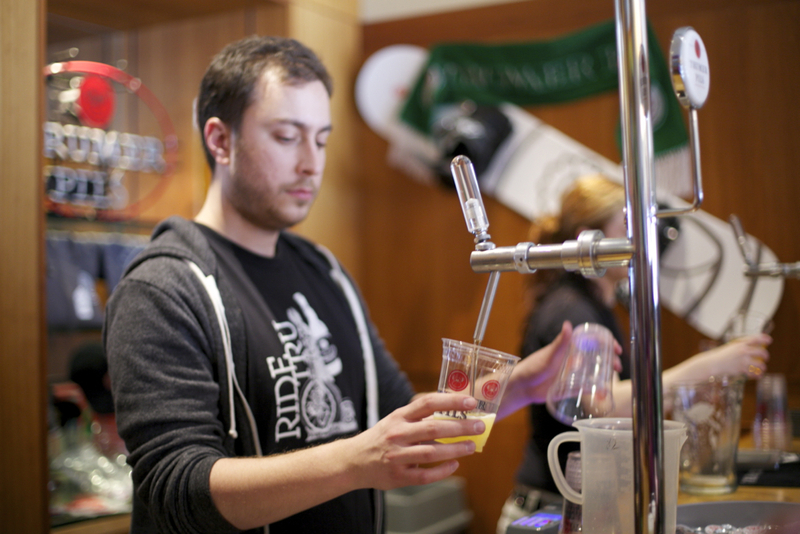 The fee also included complimentary tastings and discounts from the participating breweries. 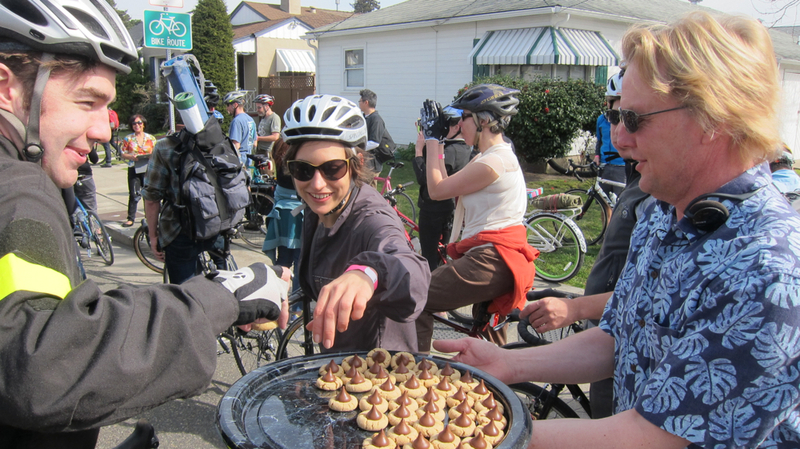 The organizers provided homemade muffins, fruit, hard boiled eggs and Bicycle Coffee for a tasty pre-ride breakfast. 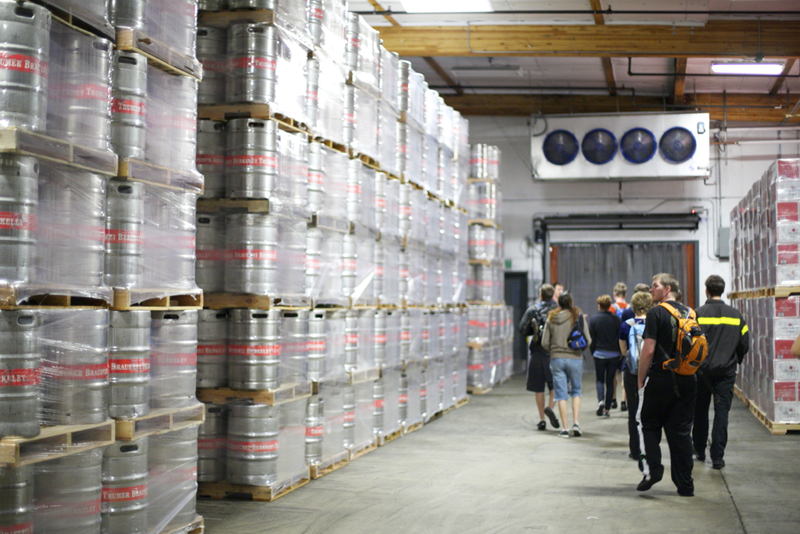 Community Manager Jeff McClure and Bar Manager Gabbie Chang gave us an informative tour of the brewery, and we also sampled a new batch of their 1500 American Pale Ale. 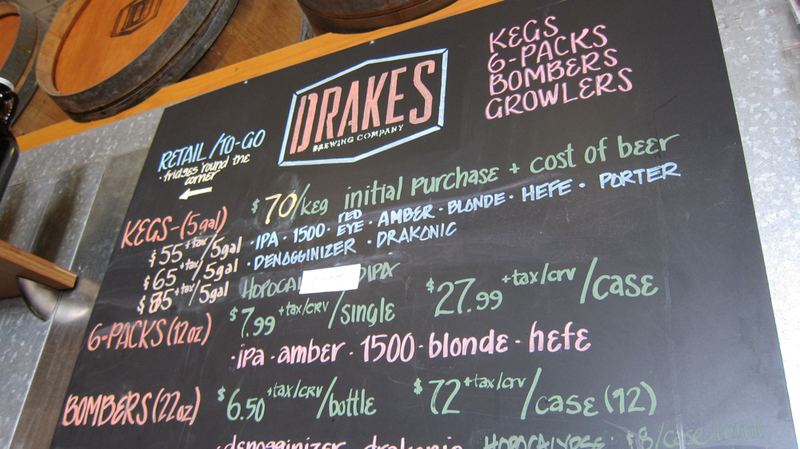 Drake's produced 12,000 kegs last year and hope to churn out at least 20,000 in 2013, as well as broaden their distribution beyond the Bay Area. 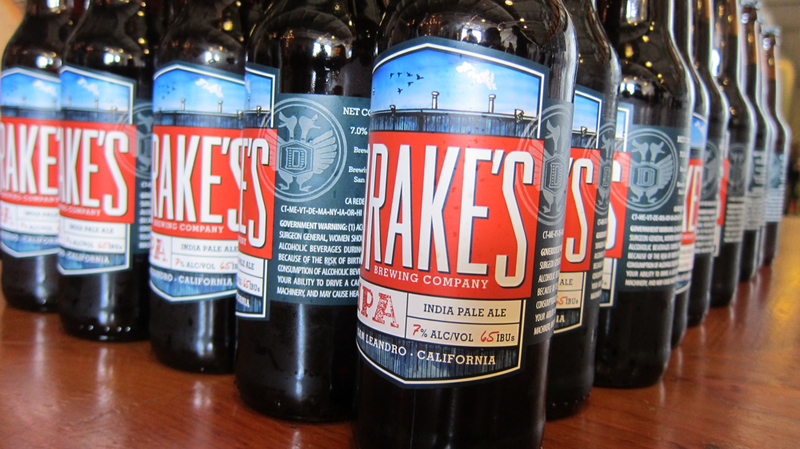 As a parting gift, they sent us away with a souvenir bottle of their IPA, their flagship brew. 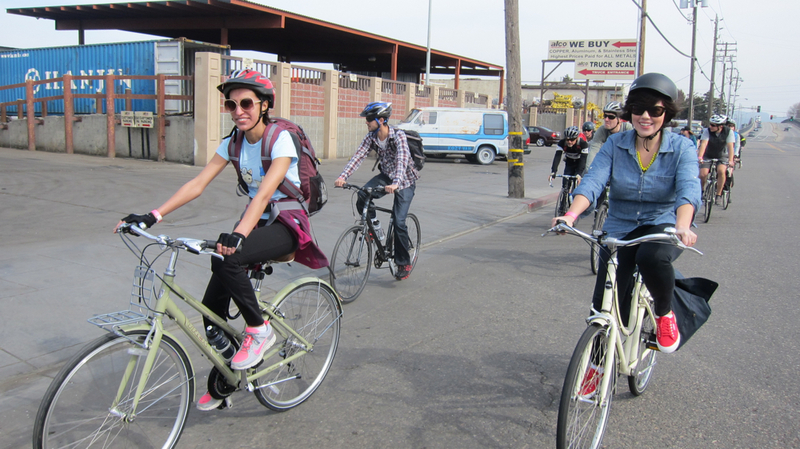 Around noon, we hopped on our bikes and headed to West Oakland's Linden Street Brewery. 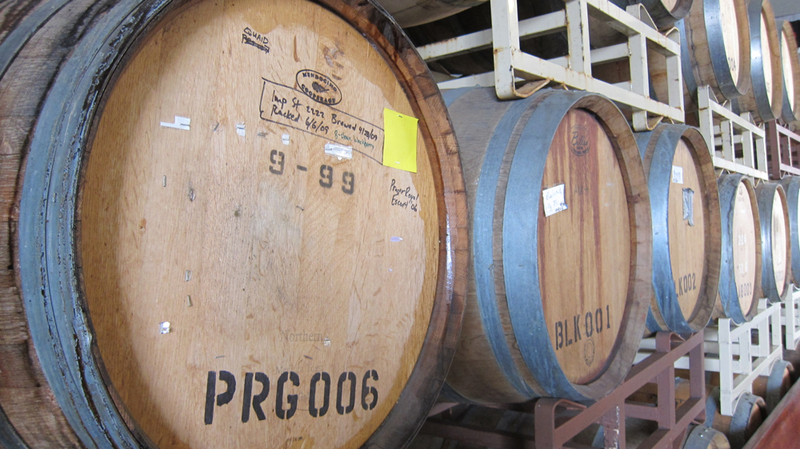 Israel Figueroa, one of the co-founders of The Grand Cru, moved to the Bay Area after attending grad school in Chicago. 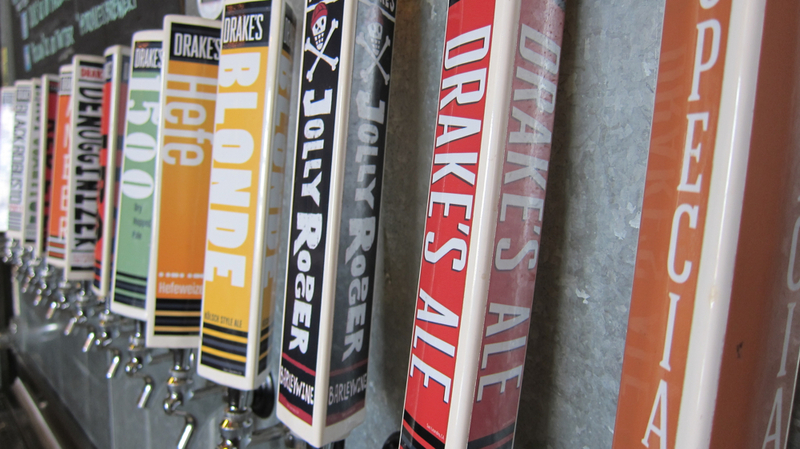 "I started delving into the world of beer [there] as I started frequenting Goose Island," says Figueroa. 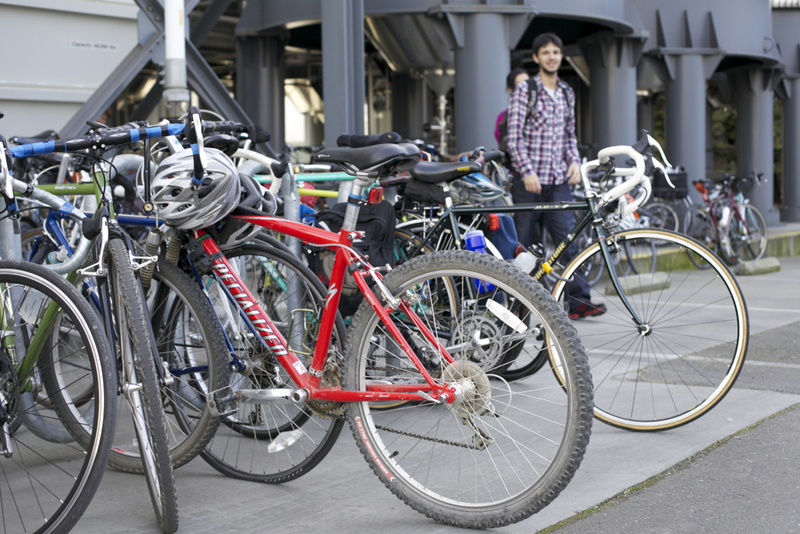 "Around the same time, a friend of mine got me an old Bianchi off of Craigslist and got me into cycling. At some point I thought it would be a good idea to combine the two: providing a reason to drive out to an localish brewery and doing a scenic ride in a new area. 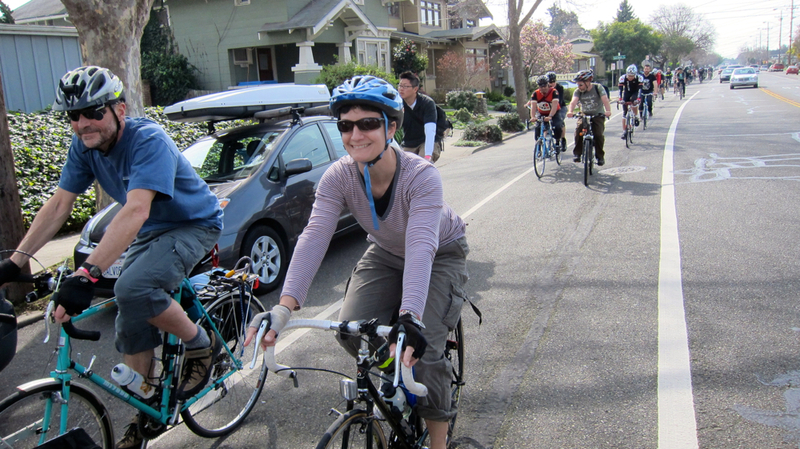 I invited a bunch of friends to come along and eventually got an email list going." 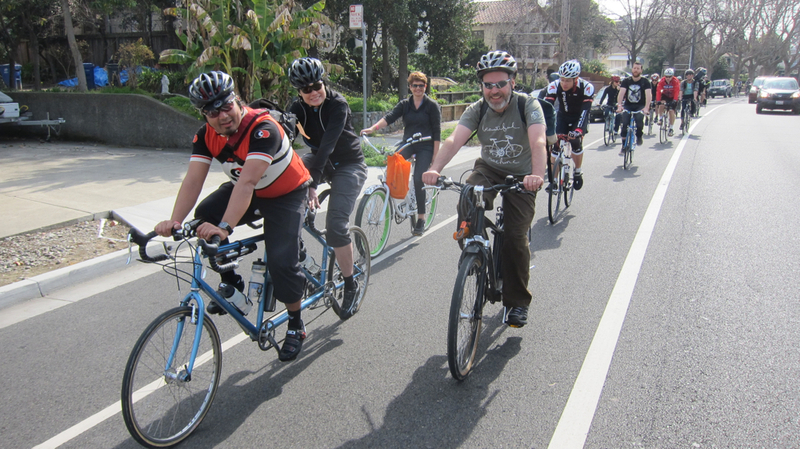 Their first group ride dates back to September 2008. 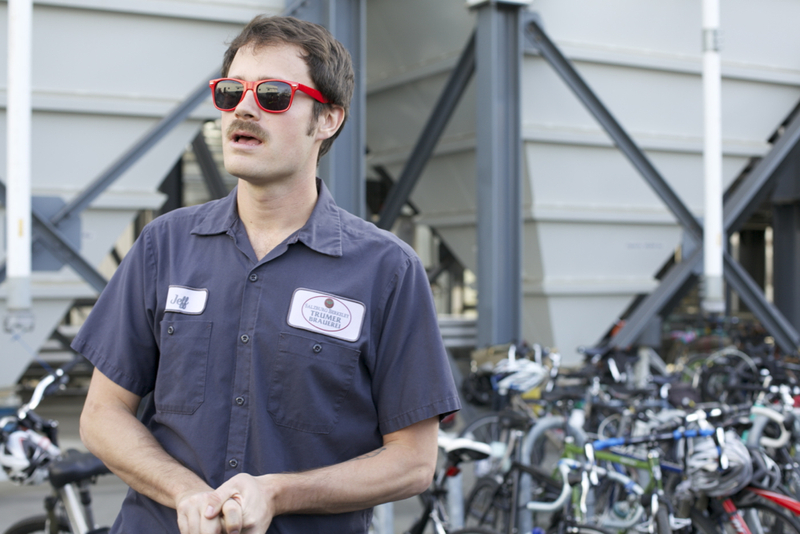 "Tour de Biere's always memorable because we often get a great mix of people. 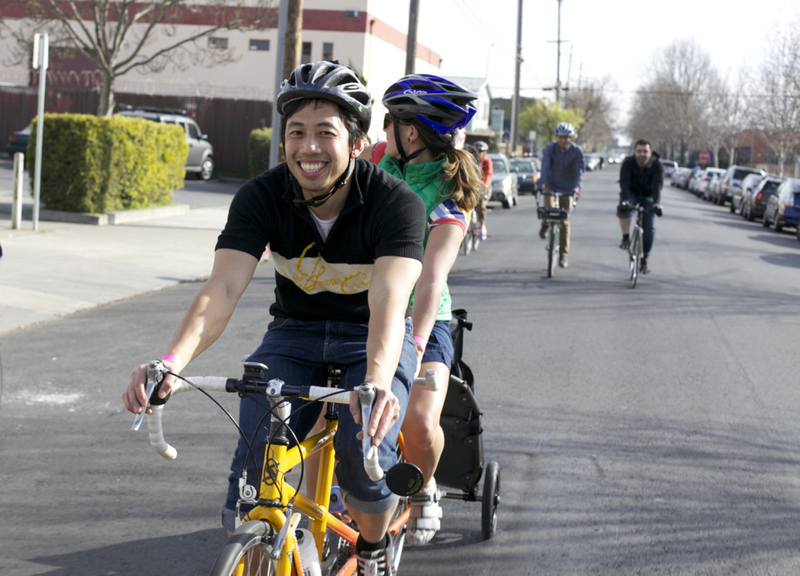 Some learn about it through the [East Bay] Bicycle Coalition who ride often but don't know the beer riches they have in the backyard. 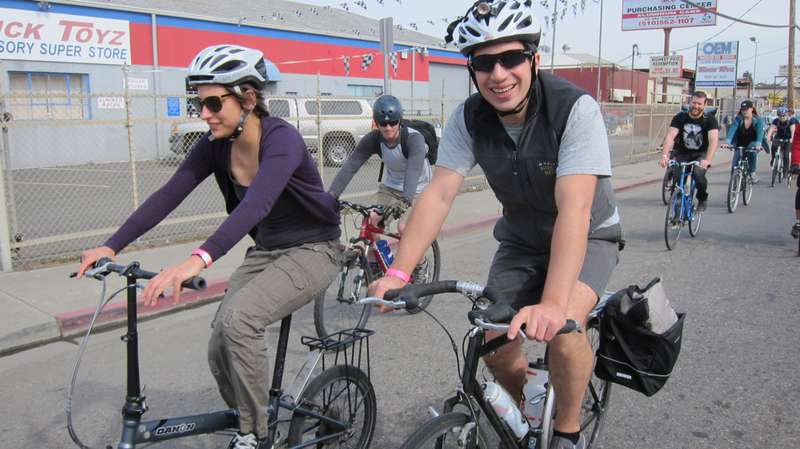 We also get the Beer Week beer nerds who haven't ridden in months/years and it's great to see them realize that cycling is a viable transportation option." 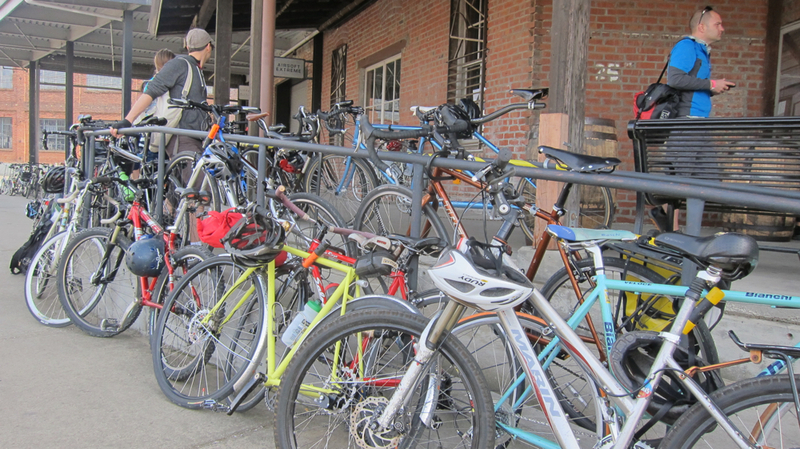 The Grand Cru's monthly rides vary in distance between 5 and 30 miles depending on proximity to a brewery and weather conditions -- although the rides continue rain or shine, and bad weather doesn't necessarily deter folks from venturing out for beer. 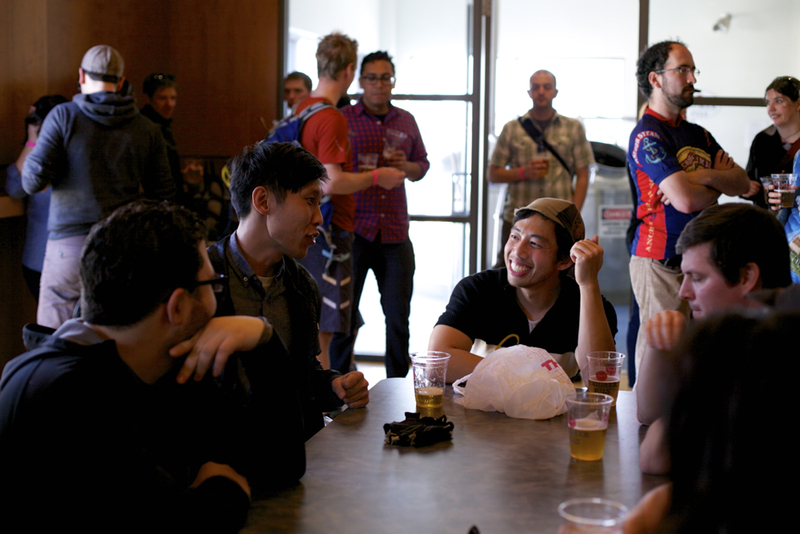 Phillip Yip, another co-founder, described one of his most memorable outings. 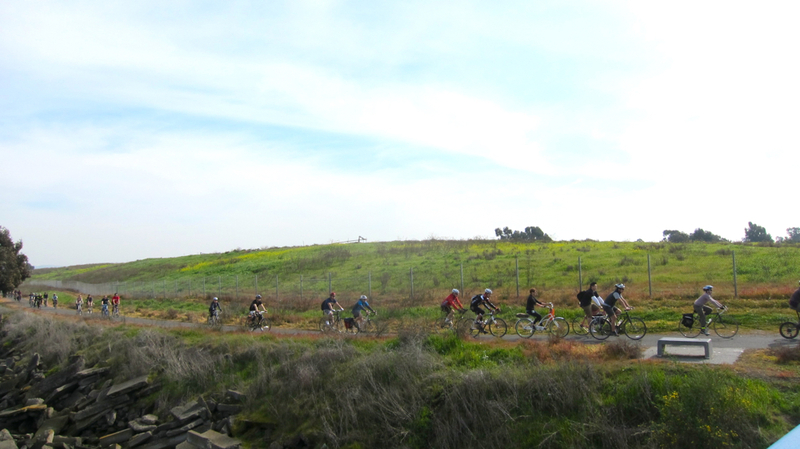 "Despite having the worst weather for one of our rides, it somehow was our most-attended ride. My girlfriend and I decided to go for extra points and decided to add a loop through Occidental. To get there, we climbed Joy Road -- which was the Worst Name Ever for a road that was a wet and miserable climb with a bunch of false summits. But now it's a funny story. 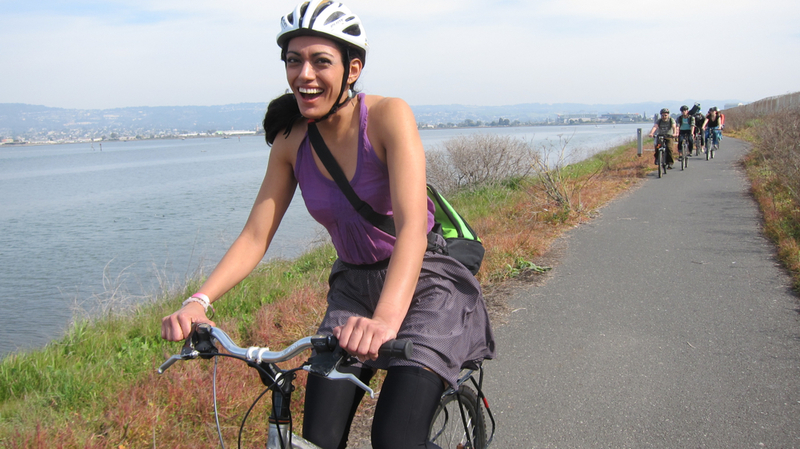 I'm amazed that my cell phone still worked after that ride. 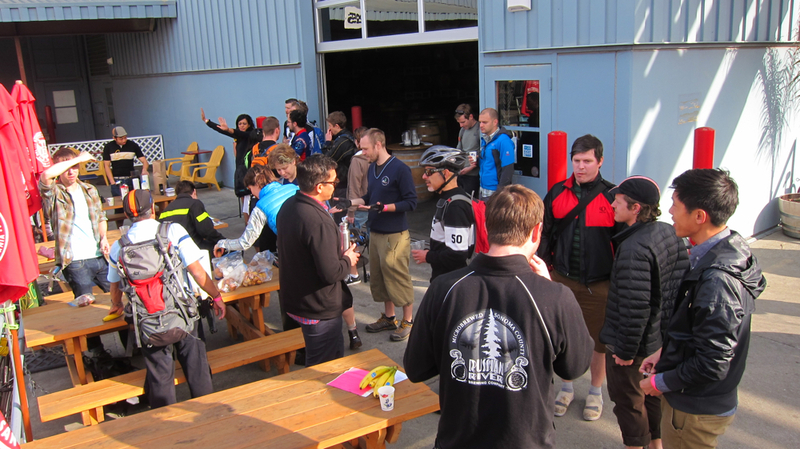 People weren't happy during the ride but everybody was in a good mood at Russian River Brewing afterward." 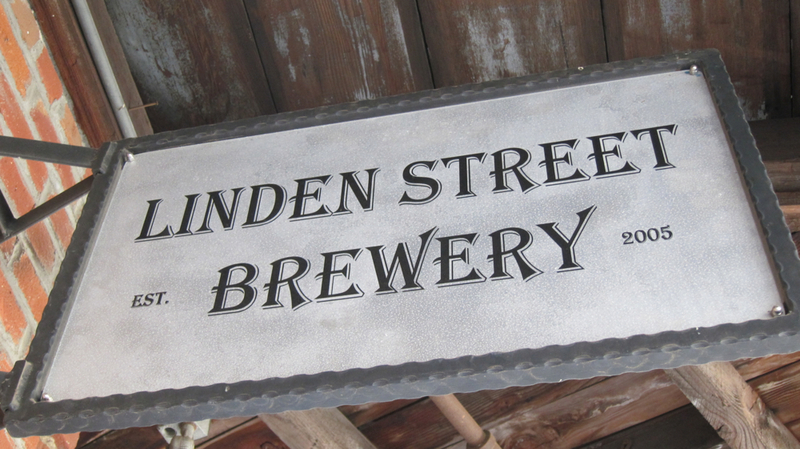 Linden Street Brewery is a perfect spot for parties, and I've written about their popular pig roasts in the past which they've co-hosted with Chop Bar. They're in the midst of expanding their space, and a beer garden, restaurant and wine tasting room are currently under construction. 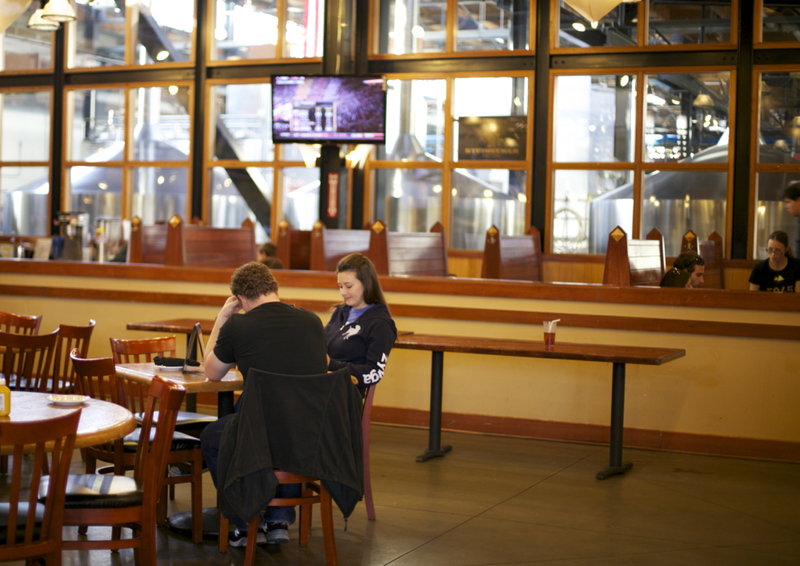 Linden is aiming to have everything open by July 1st, so for now, they're holding their tastings right out of their brewery. 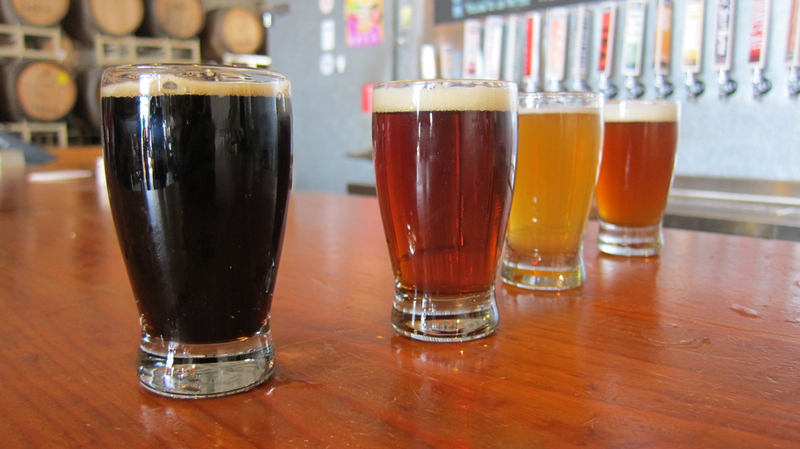 Andrew Ritter, the lead brewer and manager, provided a flight of Linden's offerings: Town Lager, Black Lager, Red Lager and his personal favorite, the Common Lager. 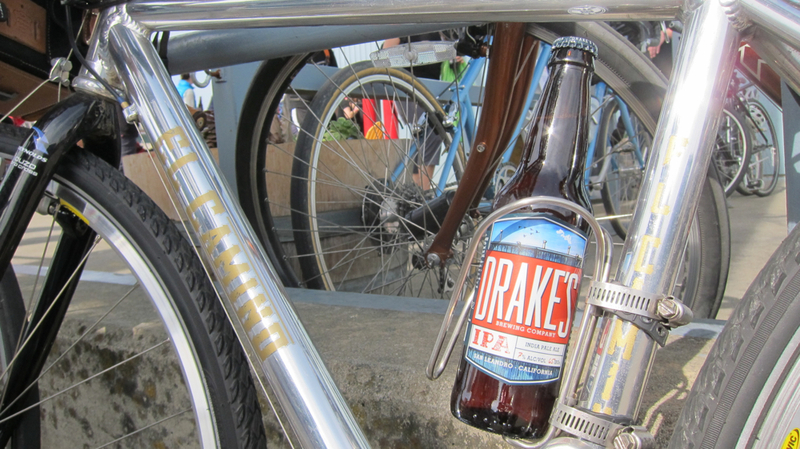 Here's two Tour de Biere riders enjoying the Town Lager. 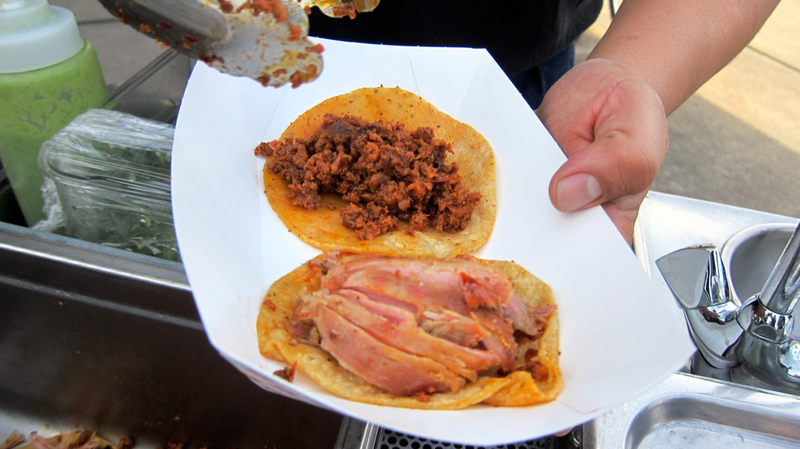 El Taco Bike also made an lunch time appearance and served up chorizo and pork tacos from its bicycle cart. 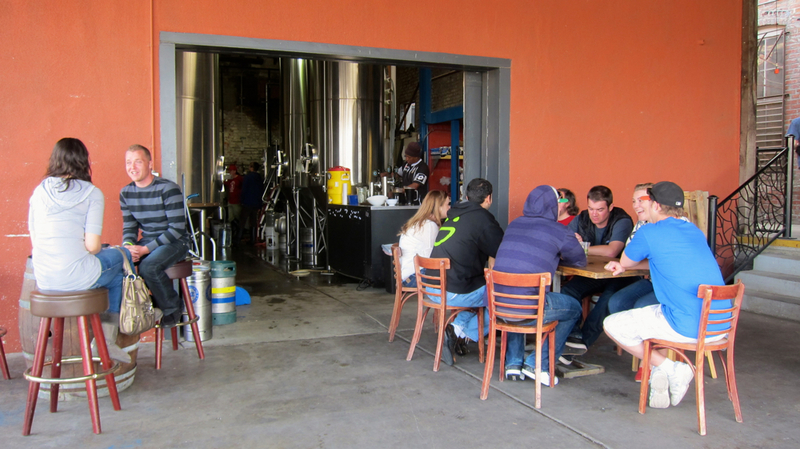 Our third stop was the Berkeley outpost of the Austrian company Trumer Pils Brauerei. 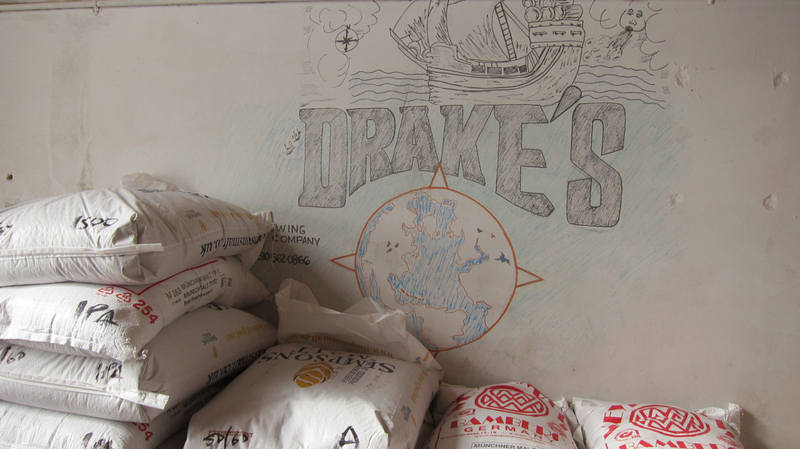 The Production Manager, Jeff Eaton, gave us a tour of their expansive facilities. 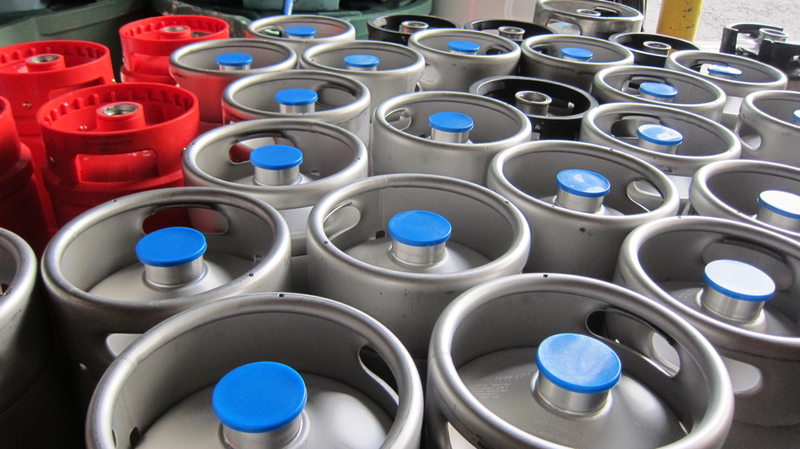 They produce only one beer: a light, 4.9% abv German-style pilsner. 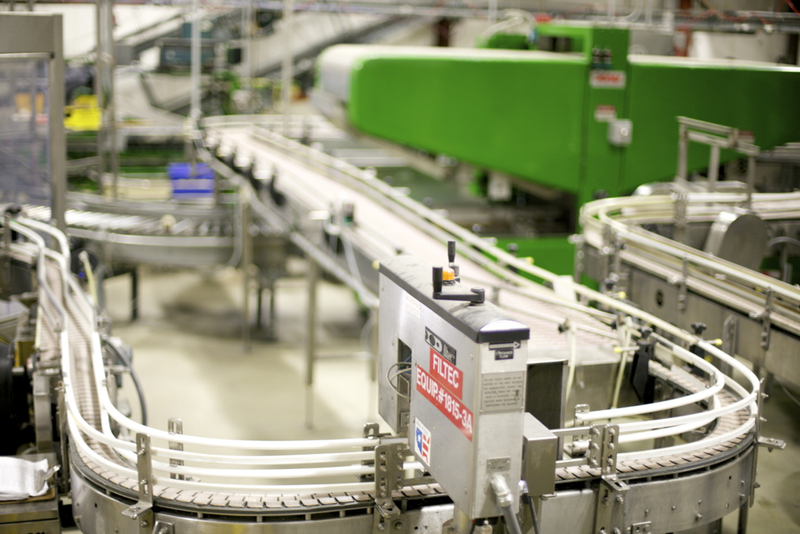 Their impressive in-house bottling facility can label up to 370 bottles a minute. 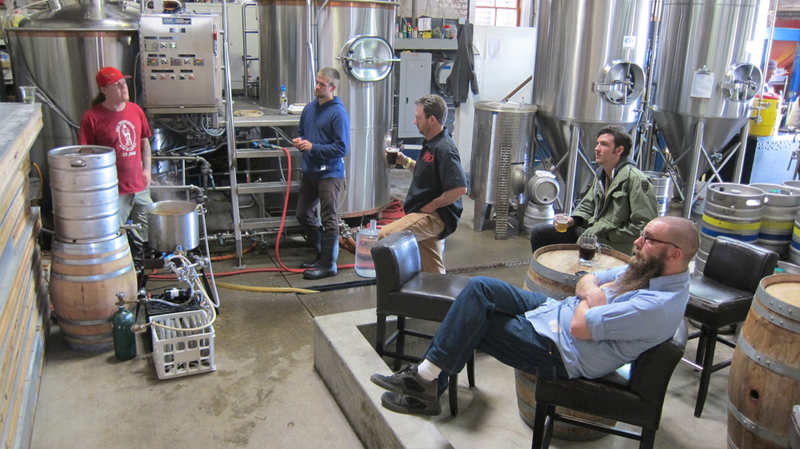 Then it was time to unwind in their posh tasting room. 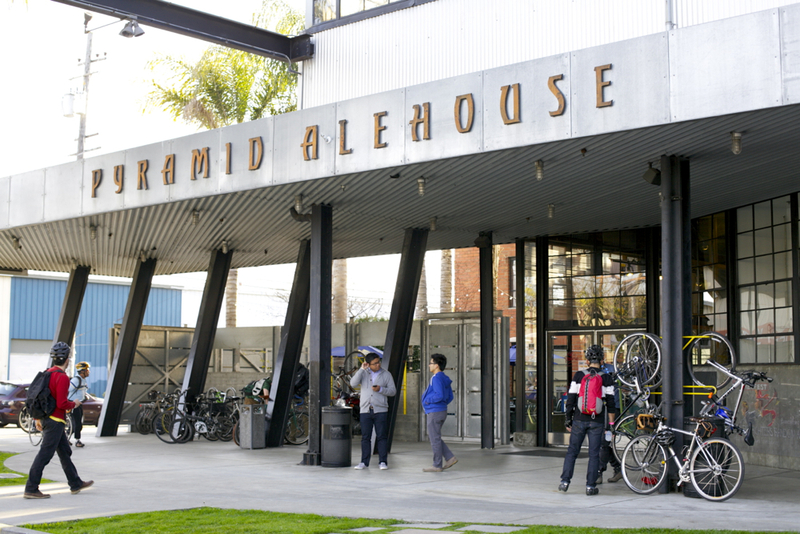 The last stop on the tour was the Pyramid Brewery and Alehouse; unfortunately, I couldn't stay for the final set of tastings. 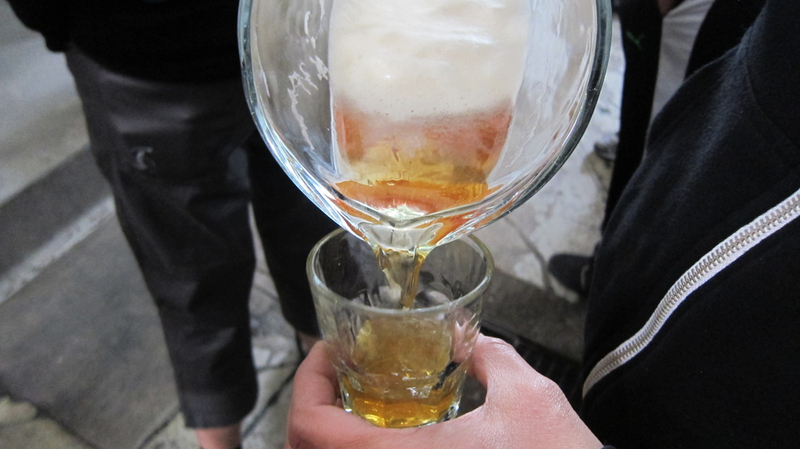 Although after a full afternoon of sampling beers and pedaling in the sunshine, I don't think I had any more room for another round. 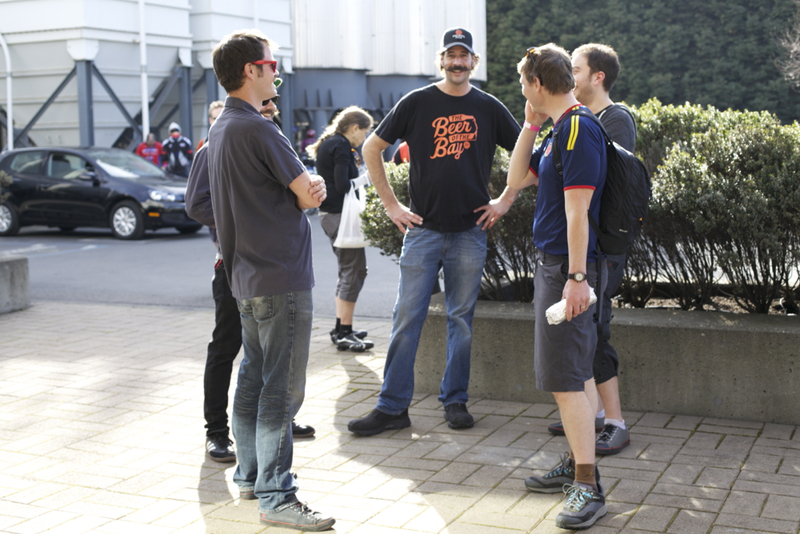 This year's Tour de Biere sold out within 48 hours, and there was a waiting list with over 80 people. 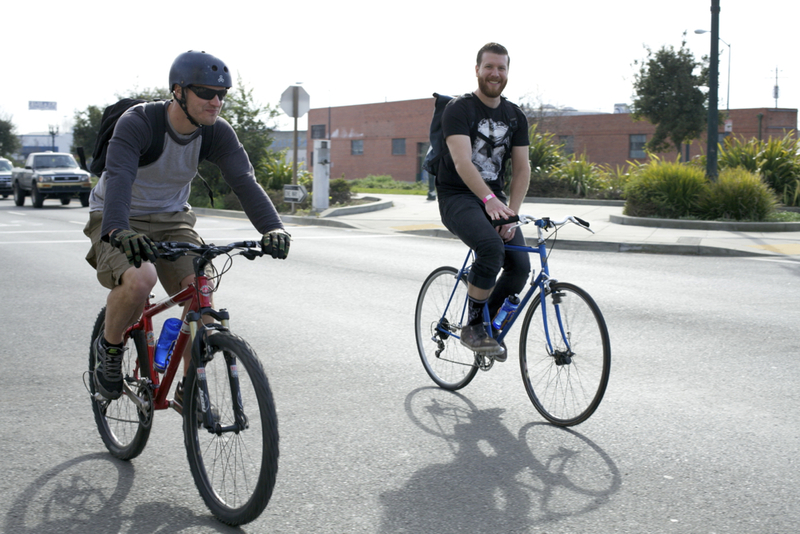 Israel, Colin and Phillip hope to expand the event to accommodate more participants next year and to increase support for the East Bay Bicycle Coalition. 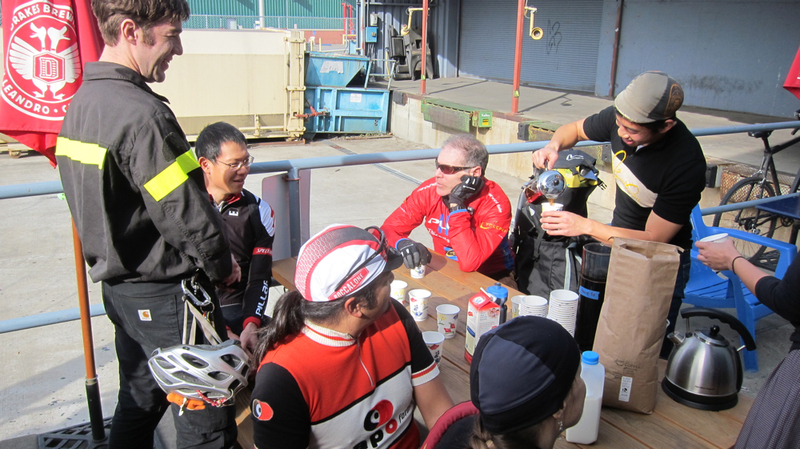 I had a wonderful time with The Grand Cru group today, and I highly recommend joining them for one of their well-organized, pedal-powered adventures. I'm already looking forward to 2014's Tour! 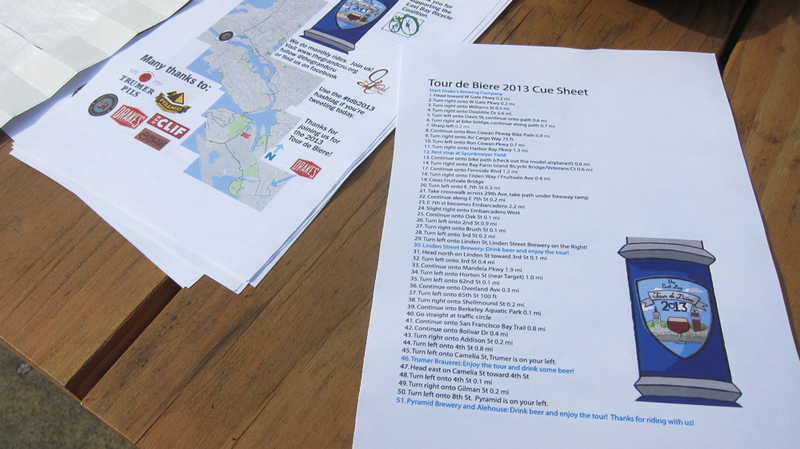 To learn more about The Grand Cru's monthly beer rides, visit their blog. 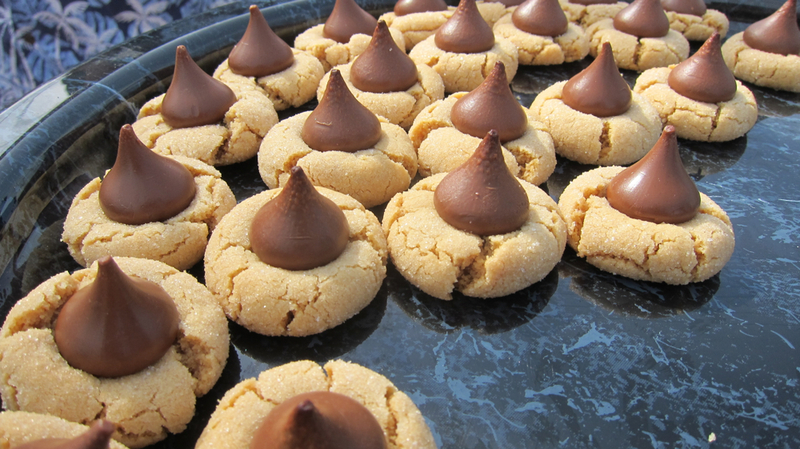 Food served most days, tours for small groups and individuals by appointment. 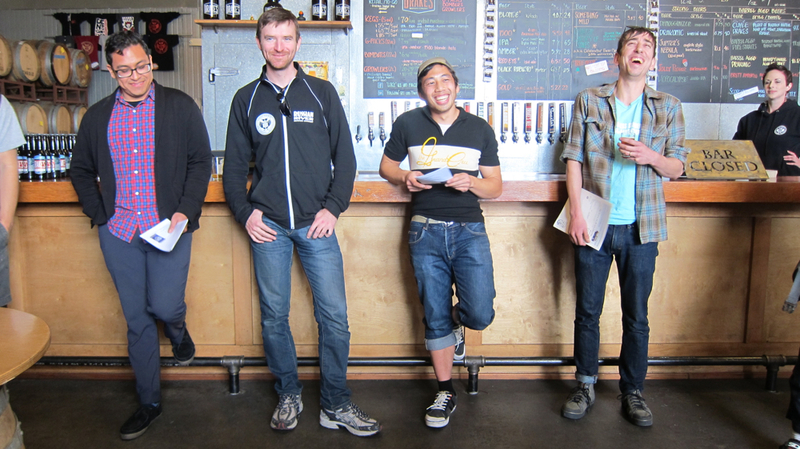 Tours are offered at Trumer Brauerei Berkeley Monday through Friday at 3:15pm. Reservations are recommended. 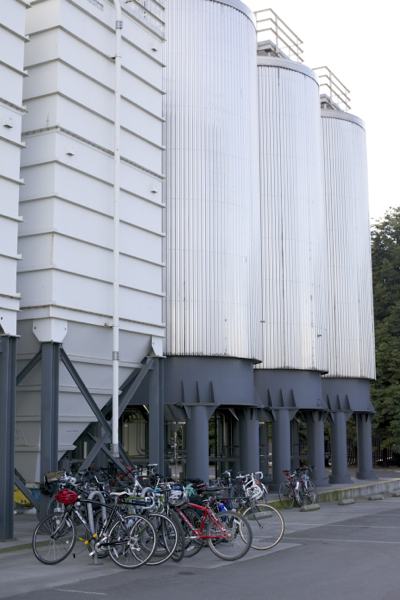 Please email tours@trumerbrauerei.com or call for more infor and to make a reservation. 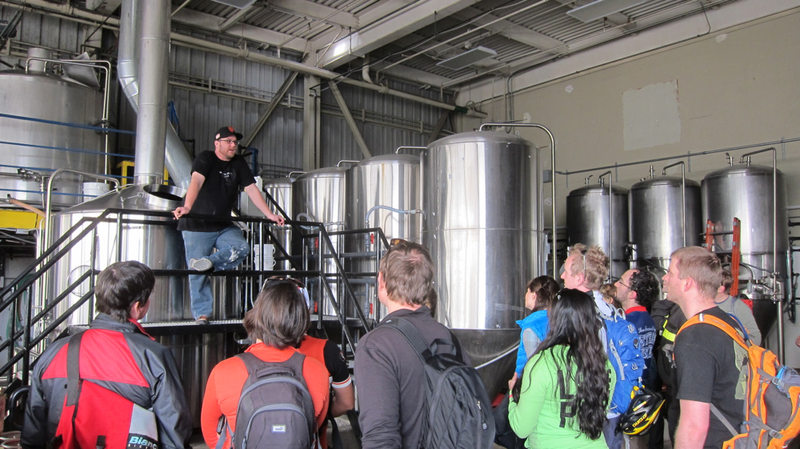 Tours are held everyday at 4:00pm, and last appx. 45 minutes long.